A fabulous night of music. The support acts were very good. Hunter and the Bear were absolutely awesome. From the opening number to the final notes these guys rocked hard!. The Cluny was a cosy venue for these boys so it would be great to see them in a larger setting. Thanks to gigantic for getting my tickets to me within three days of ordering. Hunter and the Bear have so much passion for what they do that you can't help but love them for it. Skillful musicianship, infectious tunes, and choruses you can join in with blend together for a great night out. If you like it loud, you can't go far wrong with this band. Highly recommended. 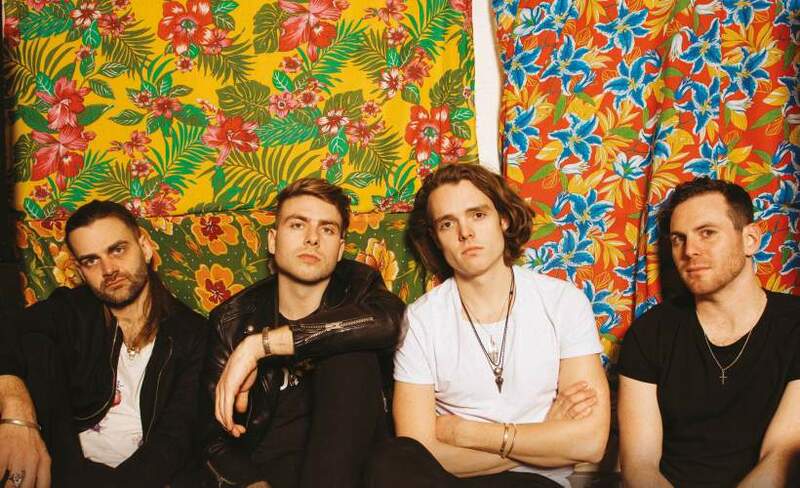 Having already shared a stage with such big names as Eric Clapton, Van Morrison, and Simple Minds, the young British band look set for greatness as they begin to dominate the future of rock. Catch them when they play at Sunflower Lounge in Birmingham and Moles at Bath during May 2019. Demand is high for Hunter & The Bear tickets so you need to act fast and book early. Set a personal reminder to alert you with a text message or email when they become available with Gigantic at 10:00 on Friday 8th of March. Formed in 2012, Hunter & The Bear quickly set about becoming the next big thing on the scene. After announcing their arrival with their EPs Dusty Road and Wildfire, they dropped debut album Paper Heart last year. Their band members include drummer Gareth Thompson, lead guitar from Jimmy Hunter with rhythm guitarist Will Irvine taking on the main vocals and bassist Chris Clark. We only have limited amounts of Hunter And The Bear concert tickets in our stocks so you need to act fast. Gigantic offers excellent customer service on a huge range of essential gig tickets so make us your first choice when making arrangements for your big night out.